i KNOW. i’m back from getting MARRIED and being on our HONEYMOON and those four words up there are the first i’ve written to you as a married woman. still processing, though. bear with me. there’s lots to say and lots to share and i’m just going to hold onto in in my heart for the tiniest bit longer until i feel ready to release it. plus, my darling nb did such a good job, already. 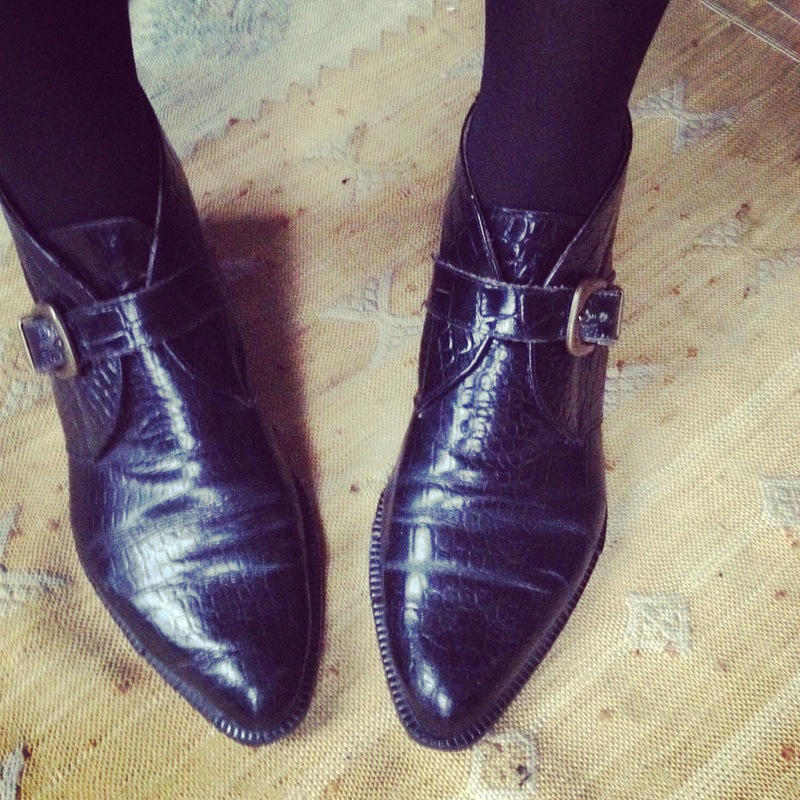 i bought these little black alligator buckle booties at a paris flea market for €40 on a really good hunt with dave (husband!) and they pretty much haven’t left my feet since. the crisp crunching sound they made as i stomped around the cobble stone streets of the marais, and now as i traipse around brooklyn and manhattan, is so satisfying. as much as i love summer (and i LOOOOVE summer), i welcome the season i arrived back in time to enjoy; the substantial heaviness of feet hitting pavement in fall and all that the sound brings is so different from the lightness of being that sandals and street create. what up, coat from mango.